Stars are hot, right? Not this star. Astronomers have found the coolest star – temperature-wise. This star is cooler than the human body. Astronomers have found the coolest star – temperature-wise, that is – although some would argue it should not be called a star. It is approximately 40 light-years away, in the direction of the constellation Lyra the Harp. Astronomers discover an 80-degree star: that’s shorts and T-shirt weather! The coolest star, called WISE 1828+2650, was one of six Y-dwarfs recently found by astronomers in their analysis of data collected by NASA’s Wide-field Infrared Survey Explorer (WISE) satellite. Y-dwarfs are the coolest category of brown dwarf stars. 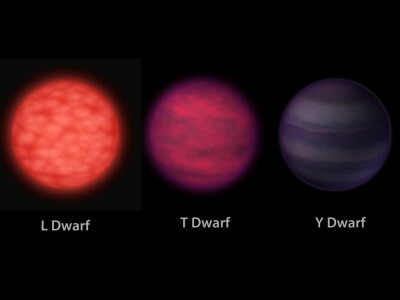 The brown dwarfs we were turning up before this discovery were more like the temperature of your oven. With the discovery of Y dwarfs, we’ve moved out of the kitchen and into the cooler parts of the house. 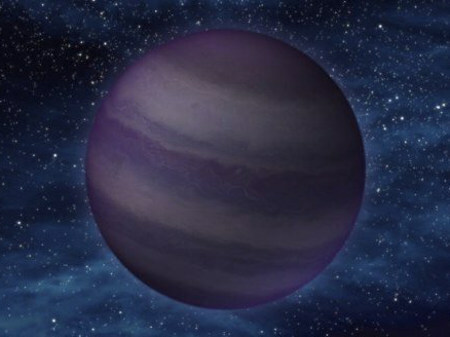 Brown dwarfs have been called “failed” stars. They lack the mass to start the nuclear reactions that make a star shine. 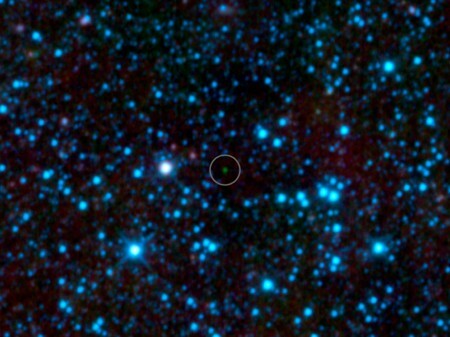 So far, WISE scientists have found 100 brown dwarf stars and expect to find many more. Scientists hope to develop a deeper understanding of how stars form through the study of brown dwarfs. Not only did they find the coolest star, but the astronomers are finding stars that are relatively close to our own solar system. One of the Y-dwarfs, WISE 1541-2250, was only nine light-years away. For comparison, the closest known star to our solar system is Proxima Centauri, at 4 light-years away. The other Y-dwarfs range from nine to 40 light-years away. Finding brown dwarfs near our sun is like discovering there’s a hidden house on your block that you didn’t know about. It’s thrilling to me to know we’ve got neighbors out there yet to be discovered. With WISE, we may even find a brown dwarf closer to us than our closest known star. The WISE satellite, launched December 2009, imaged the sky through February 2011, using an infrared telescope. Some of the mission’s objectives were to find the coolest and nearest stars and to look for near-Earth asteroids. By using infrared technology, WISE has been able to detect objects with temperature ranges between roughly minus 330 degrees Fahrenheit (minus 200 degrees Celsius) to 1300 degrees Fahrenheit (700 degrees Celsius). Infrared also allows detection of objects through dust clouds. In July 2011 astronomers using WISE data announced the discovery of Earth’s own Trojan asteroid. For now WISE 1828+2650 is the coolest star known. Scientists are sure to announce more discoveries from WISE data, possibly even the discovery of a cooler or nearer star.